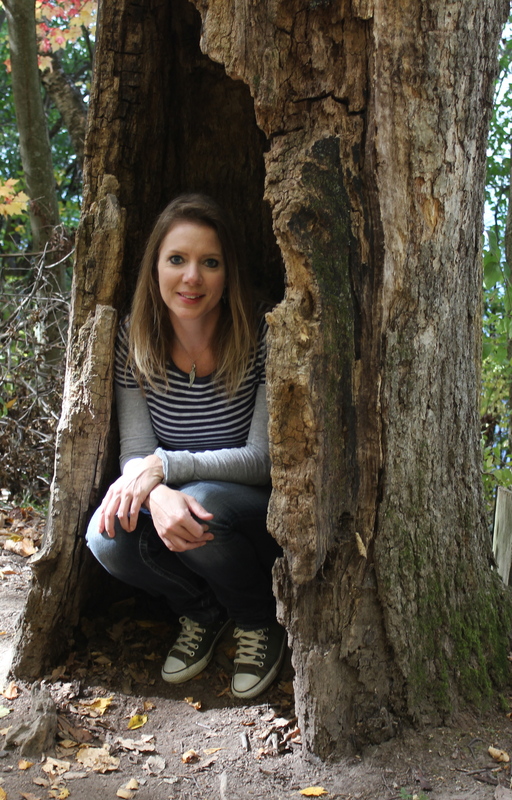 I read the fat quarter swap hosted by Sew,Mama,Sew had 450 participants, which is just fabulous. Imagine the variety of fabrics that are being shared all over the world! Aren’t they lovely? 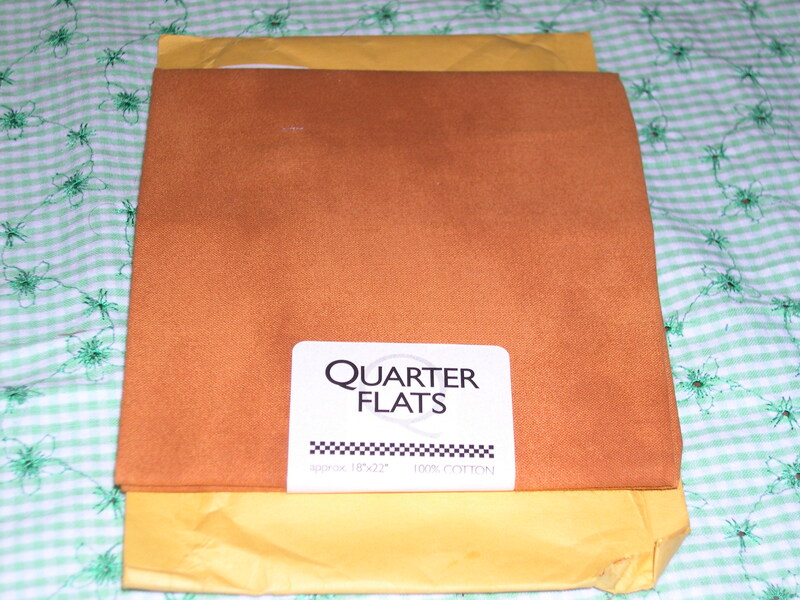 The fat quarter is the brown piece on top. She included the other two scrap size pieces as a bonus! The middle piece is a cheerful, summery piece, and the bottom piece reminds me of redwork. I love how it coordinates with the other swap fabrics so far. 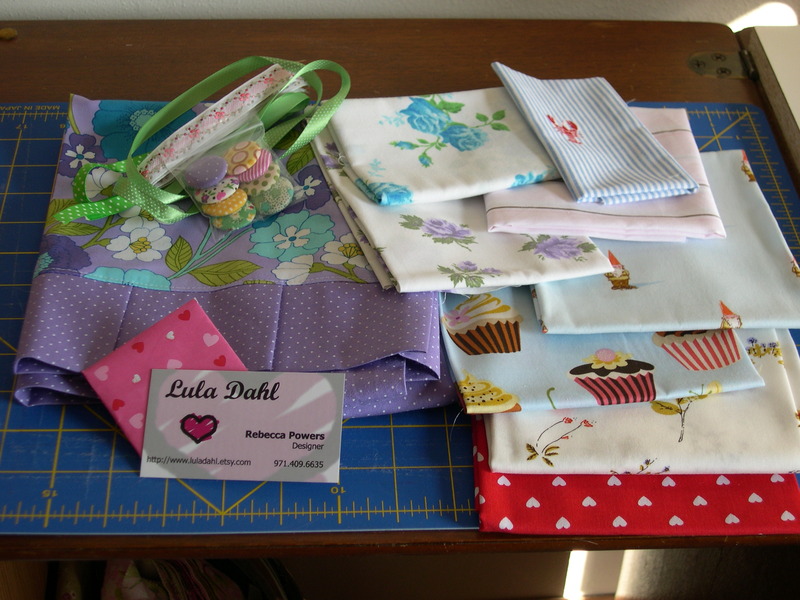 Rebecca sells her adorable aprons in her etsy shop, and she was so generous to share one with me (it’s the purple fabric on the far left in the photo above). 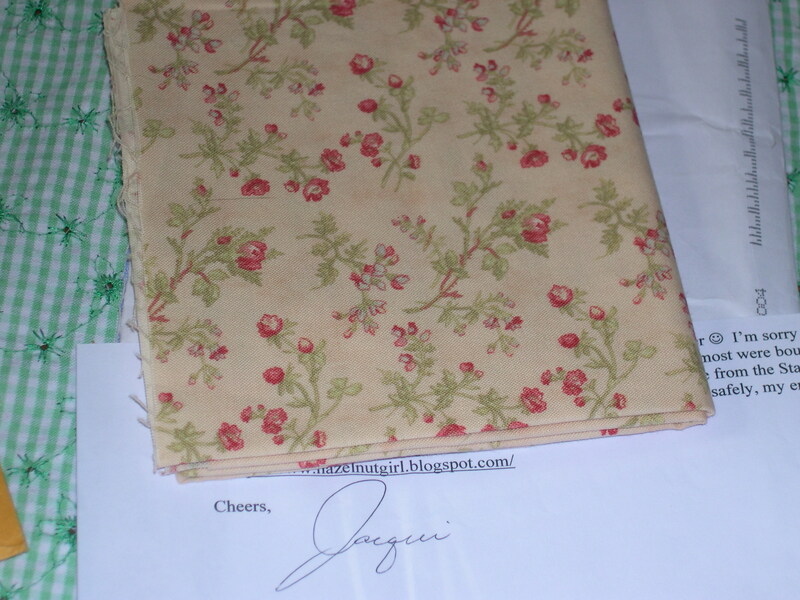 She also sent along those pretty ribbons and adorable fabric-covered buttons. 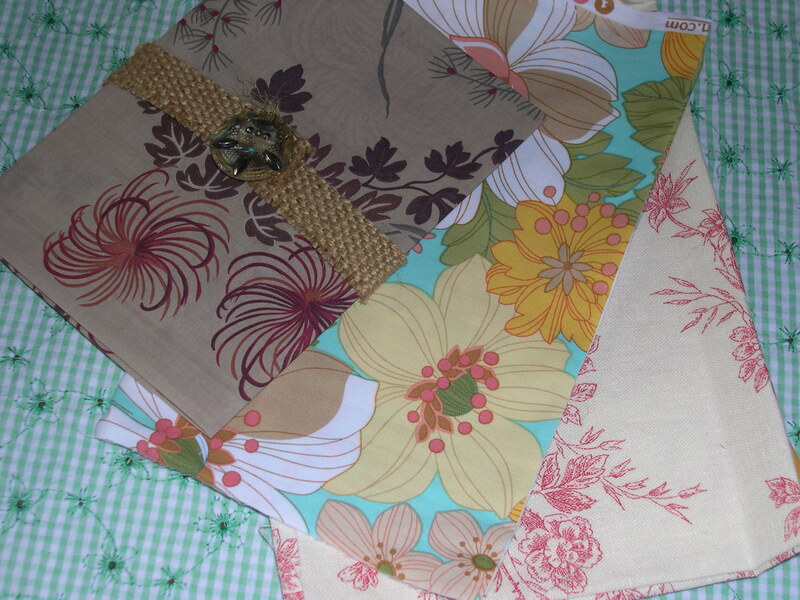 I’m thinking about making a couple drawstring bags with these fabrics for a trip I have coming up. Thank you so much for your generosity, ladies! I love your FQ’s and gifts. How fun! I used my fat quarters from the swap to make the wonky stars for the Bushfire Quilt Project. I was a little selfish and kept one wonky star of each fabric for a scrappy quilt! Have a good day! 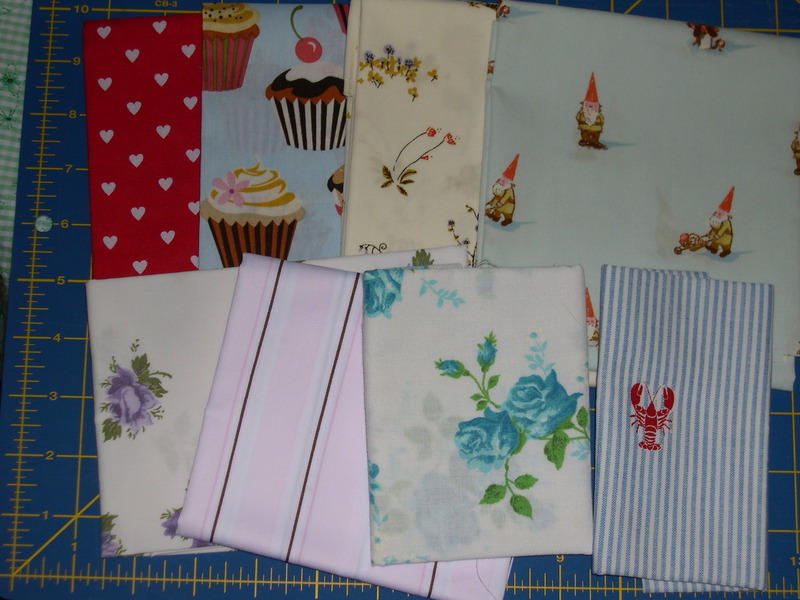 I love that garden gnome fabric. I need it, now!